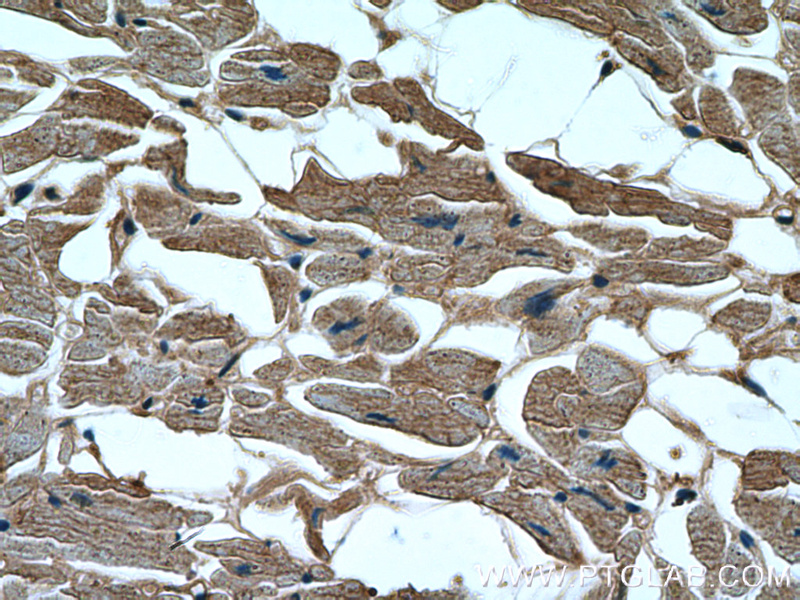 Immunohistochemistry of paraffin-embedded human heart tissue slide using 19958-1-AP( GAC-specific Antibody) at dilution of 1:200 (under 40x lens). 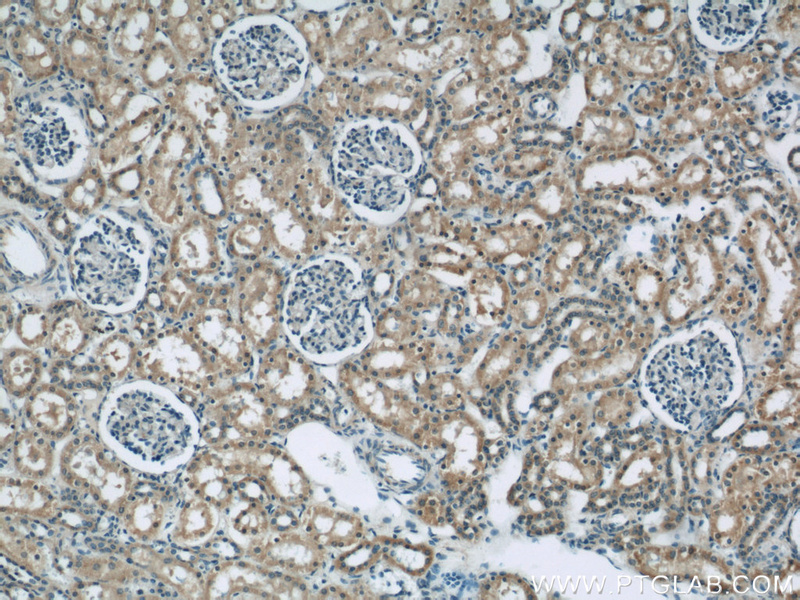 IP Result of anti-GAC-specific (IP:19958-1-AP, 3ug; Detection:19958-1-AP 1:500) with mouse kidney tissue lysate 4000ug. 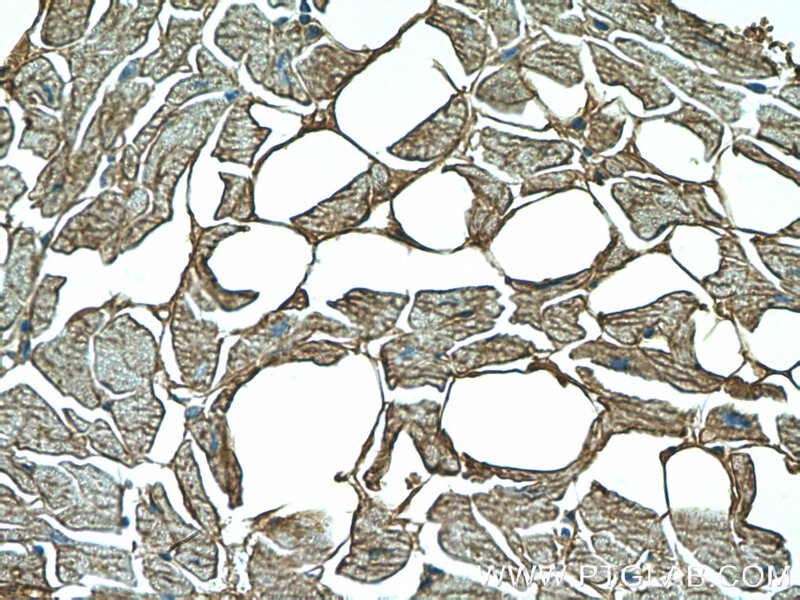 Immunohistochemistry of paraffin-embedded human heart tissue slide using 19958-1-AP( GAC-specific Antibody) at dilution of 1:200 (under 10x lens). 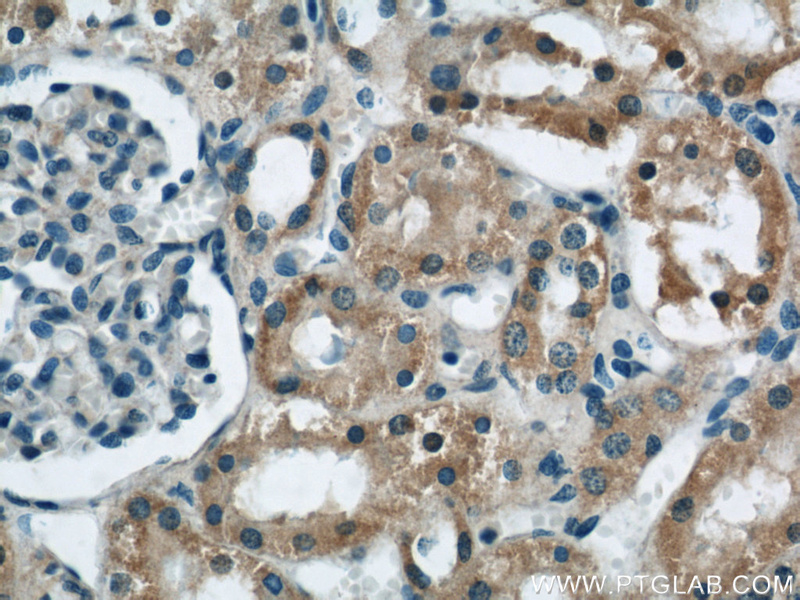 Glutaminase C (GAC), a splicing variant of the kidney-type glutaminase (KGA) gene, is a vital mitochondrial enzyme protein that catalyzes glutamine to glutamate. 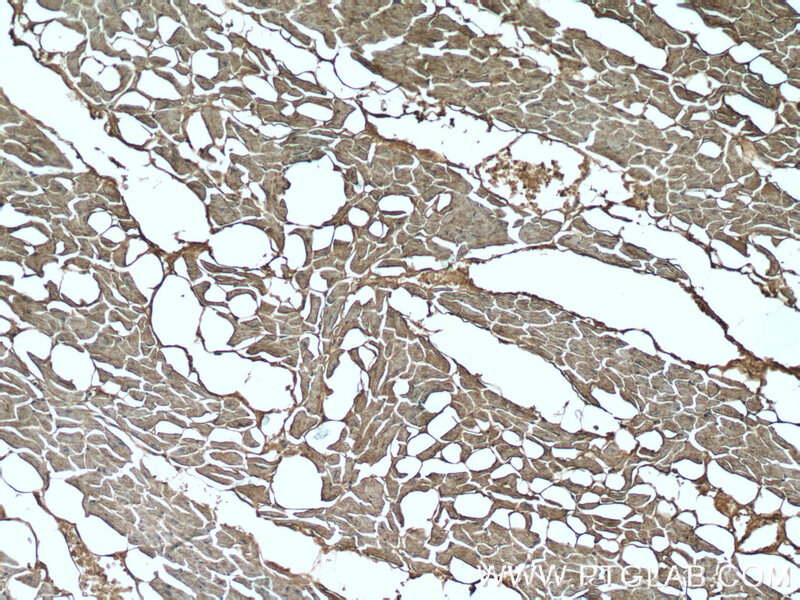 GAC is the only isoform present in the mitochondria (PMID:22228304). 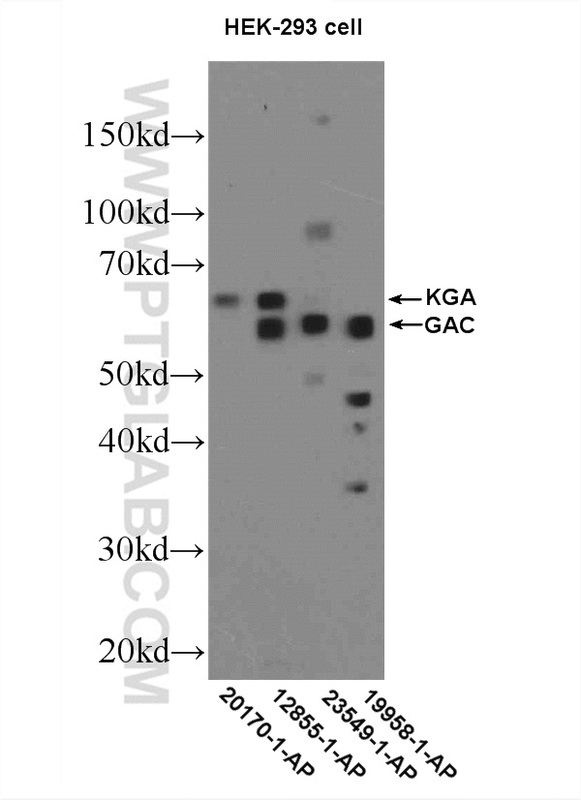 In a normal state, immunodecorationwith antibodies directed against GAC identified an abundant complex of 232 kDa as a tetrameric form of GAC, the DPAA can directly destructed the native tetrameric GAC complex to accumulate the unassembled one (50-90 kDa). 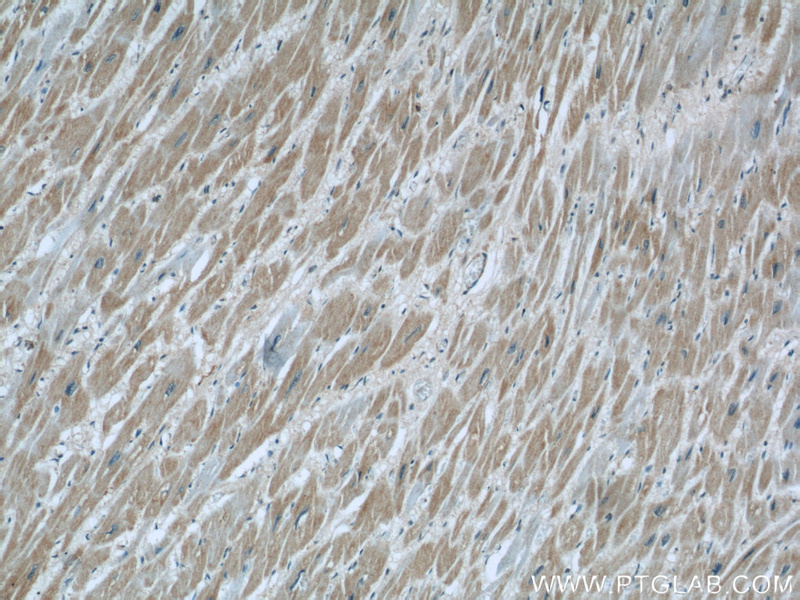 (PMID:22493432). 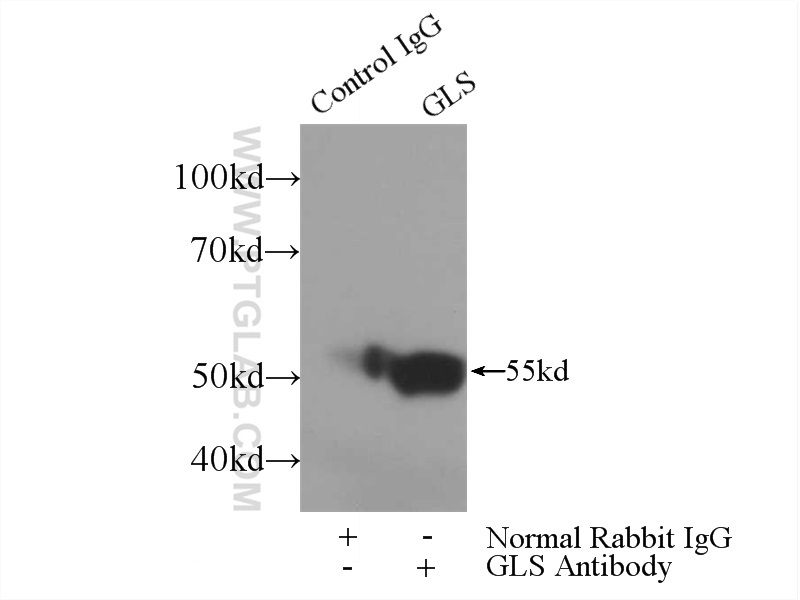 This antibody is specific to GAC isoform. It has no cross reaction to KGA. 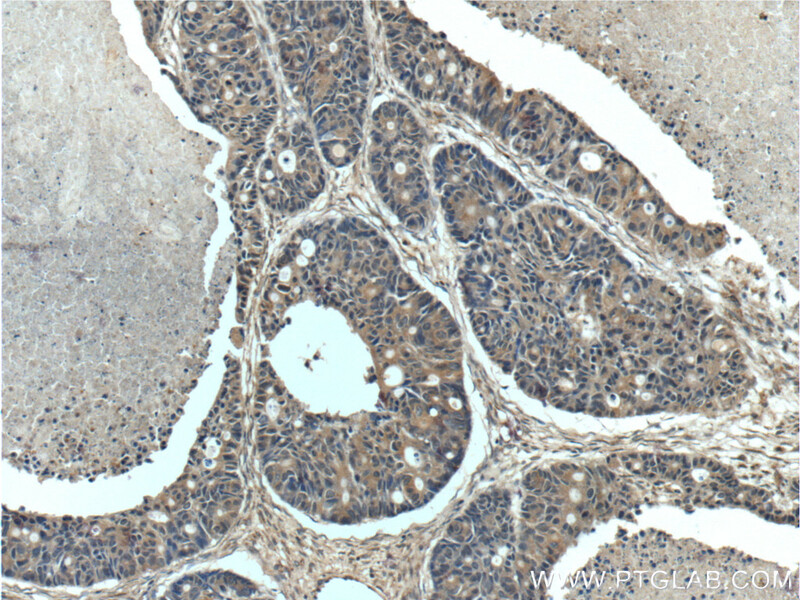 Silencing of GLS and overexpression of GLS2 genes cooperate in decreasing the proliferation and viability of glioblastoma cells. 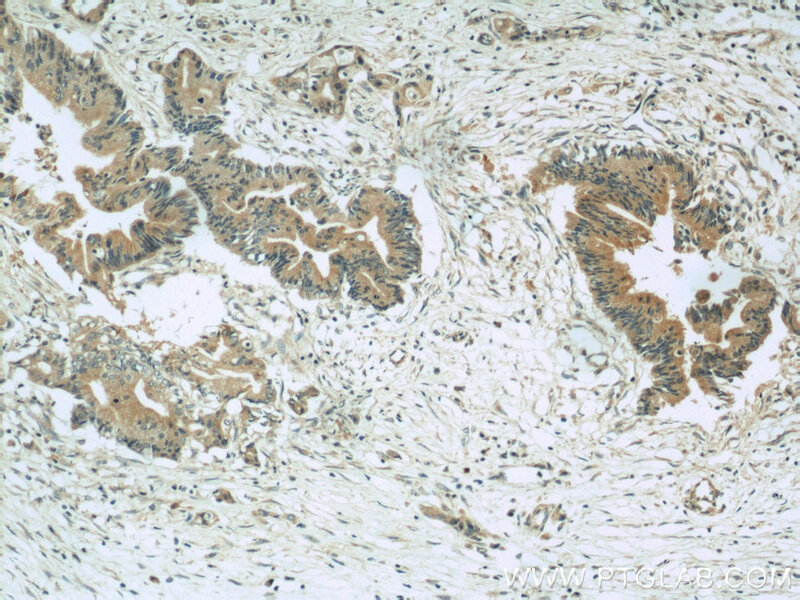 Antitumor activity of the glutaminase inhibitor CB-839 in triple-negative breast cancer. 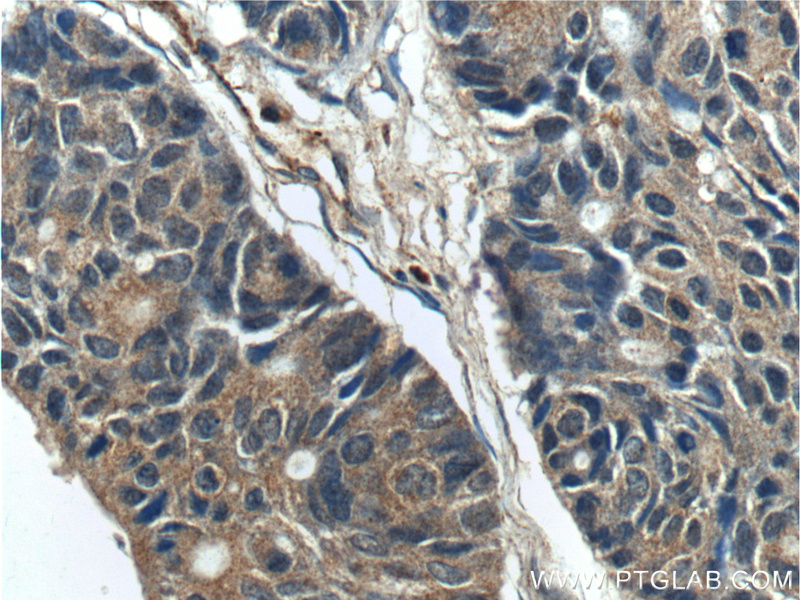 Discovery of selective inhibitors of Glutaminase-2, which inhibit mTORC1, activate autophagy and inhibit proliferation in cancer cells. 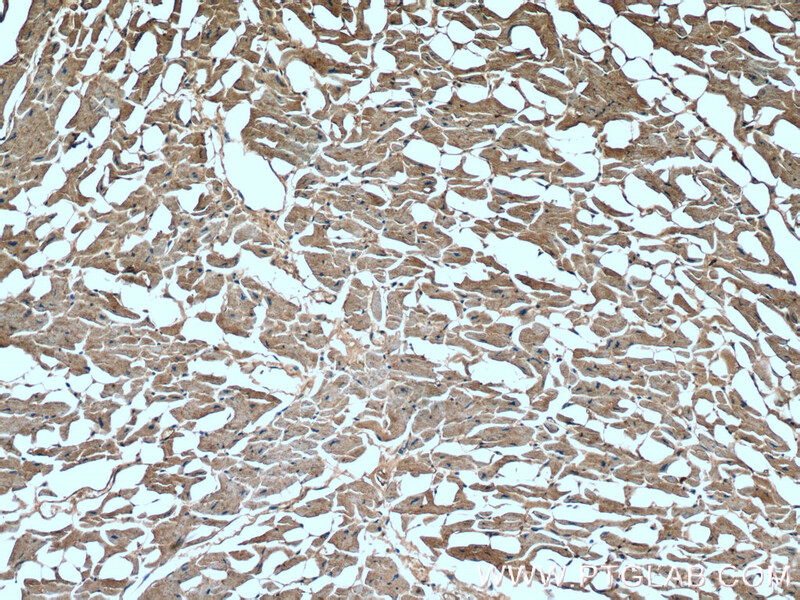 Targeting glutaminolysis has anti-leukemic activity in acute myeloid leukemia and synergizes with BCL-2 inhibition. 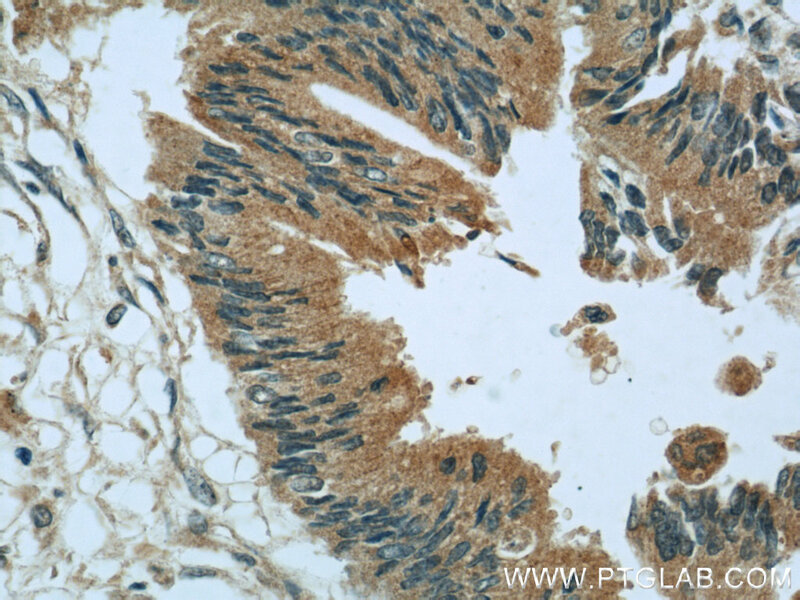 CFIm25 regulates glutaminase alternative terminal exon definition to modulate miR-23 function. 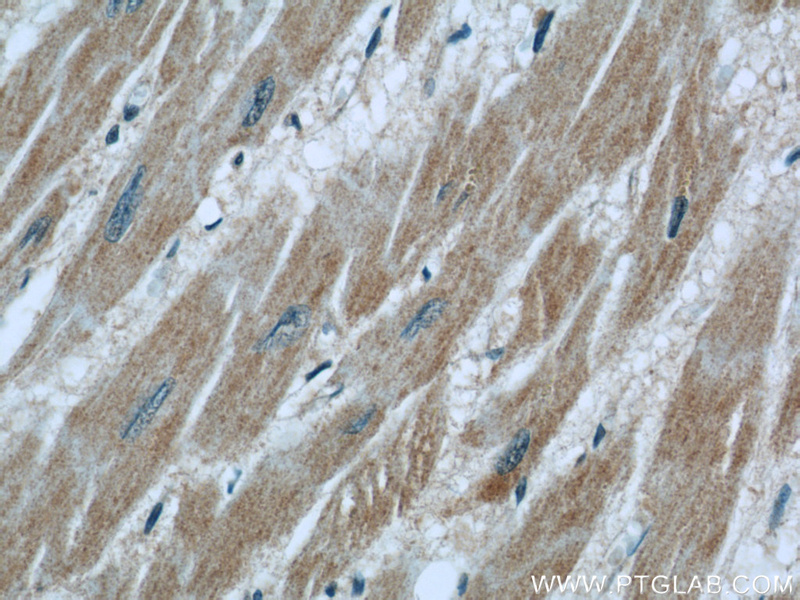 T Helper Cell Activation and Expansion Is Sensitive to Glutaminase Inhibition under Both Hypoxic and Normoxic Conditions. 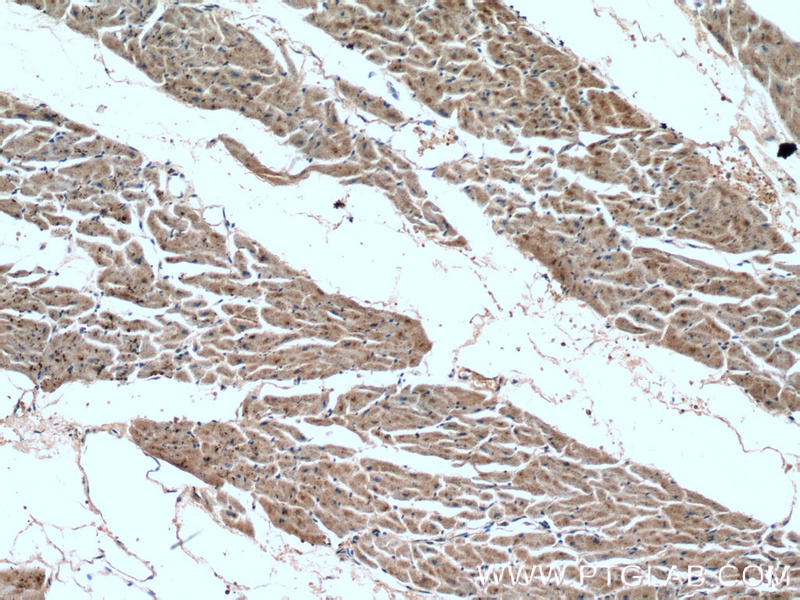 Immunohistochemistry of paraffin-embedded human pancreas cancer tissue slide using 19958-1-AP( GAC-specific Antibody) at dilution of 1:200 (under 10x lens). 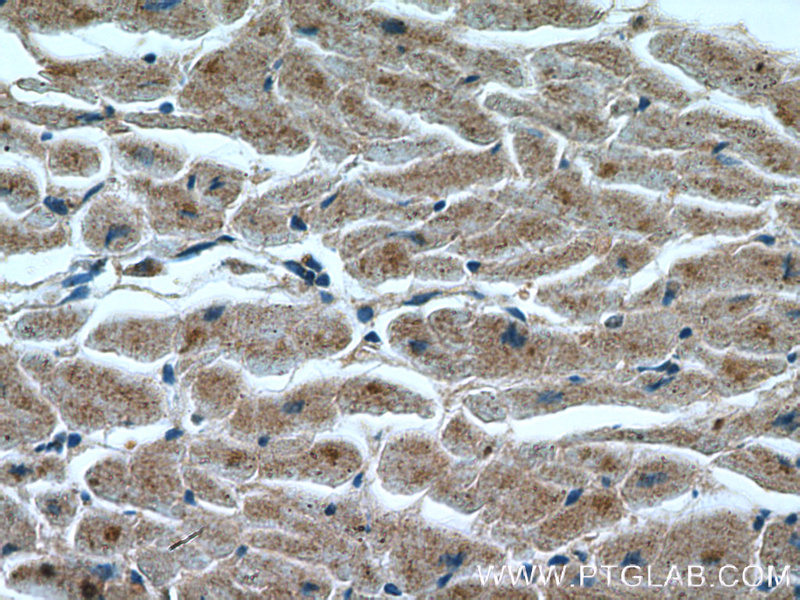 Immunohistochemistry of paraffin-embedded human pancreas cancer tissue slide using 19958-1-AP( GAC-specific Antibody) at dilution of 1:200 (under 40x lens).